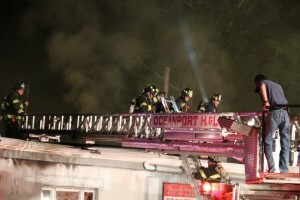 Oceanport Hook & Ladder Volunteer Fire Co. Gifts must be wrapped and placed in a GIFT BAG or OTHER CLOTH BAG that is clearly marked with your last name, the address for the gifts to be delivered, and the children’s or special someone’s names. We ask that each gift is marked with the child’s or special someone’s name as well and that the labels are securely attached and readable. 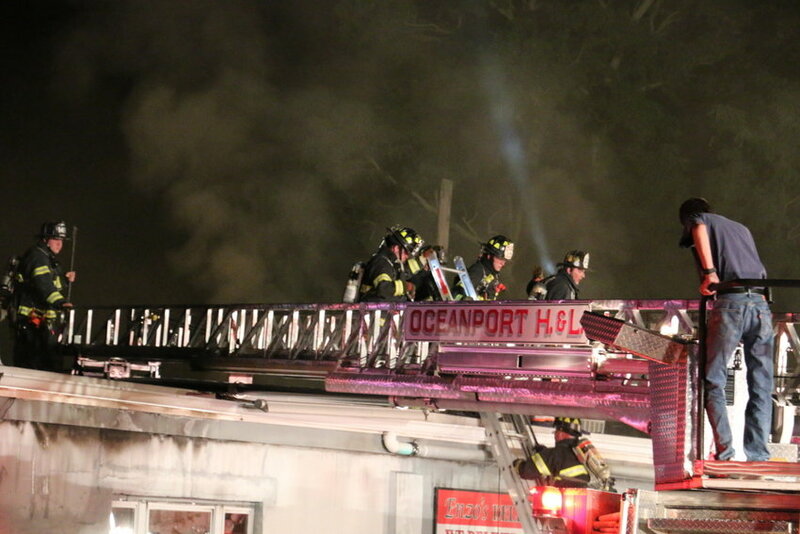 Gifts must be dropped off to the Oceanport Hook & Ladder Firehouse on Saturday, December 8th between 9AM to 12PM, Saturday December 15th between 9AM to 12PM. We ask for a donation of $5 a gift. Santa and his elves will deliver the gifts to your child/children or special someone Christmas Morning on the fire truck between the hours of 7am and 11am. Unfortunately, due to the high volume of requests, we are unable to guarantee a certain time of arrival. We will deliver to any age person. You are receiving this letter because you have asked Santa to come on the fire truck in prior years. We are going to an online system, so it is very important for you to register online and provide a valid email address. Registration will begin on the December 1st and continue through December 15th. The cutoff for gift drop-offs will be December 21st. Please contact me for any drops after December 15th. 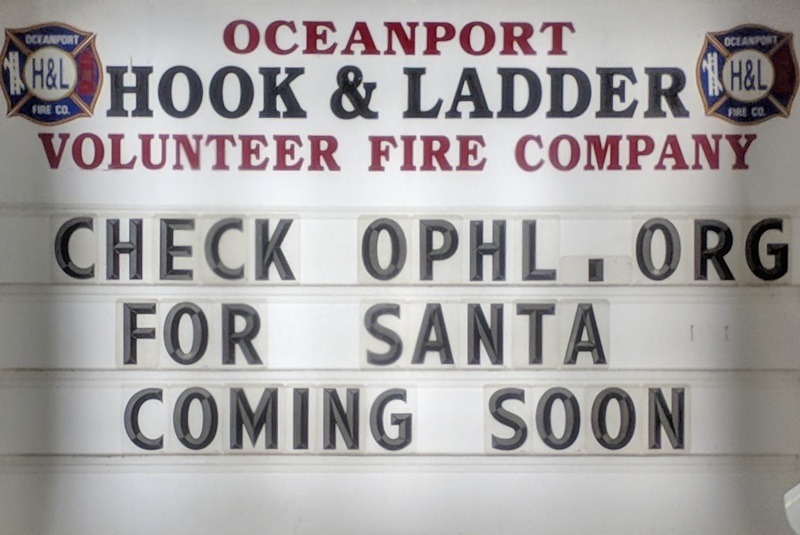 If you have any questions, please email OceanportSantaRun@gmail.com or call 732-542-6928. Station 1 attended Monmouth County Fire Academy this week to re-train on search and rescue principles while operating in a live fire environment. 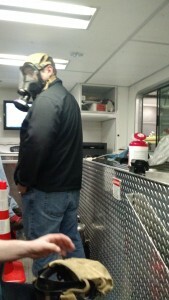 Here’s the crew from Tuesday night’s drill. 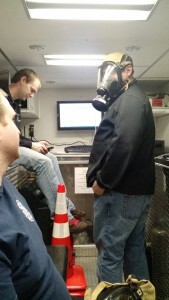 Post by Oceanport Hook & Ladder Fire Co.
Our members getting their required annual fit test of their SCBA mask. 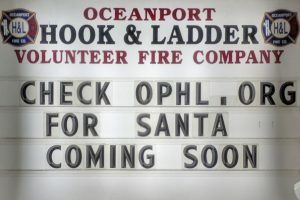 The OPH&L extend their thanks to the Little Silver Fire Department for providing the testing equipment, and Little Silver Fire Chief, and Oceanport Hook & Ladder firefighter, Reiss Pfleger!